I've worn a skirt as a dress and a shirt as a skirt, but this is the first time I've turned a pair of yoga pants into a jumpsuit! The "top" is actually just the fold-over waist band of the pants, unfolded and pulled up. The addition of a classic black suit jacket and ankle boots take the look from the yoga studio to the office. I have to admit, the ensemble reminds me a little bit of Beetlejuice (though his stripes were horizontal), but it is Halloween, after all. 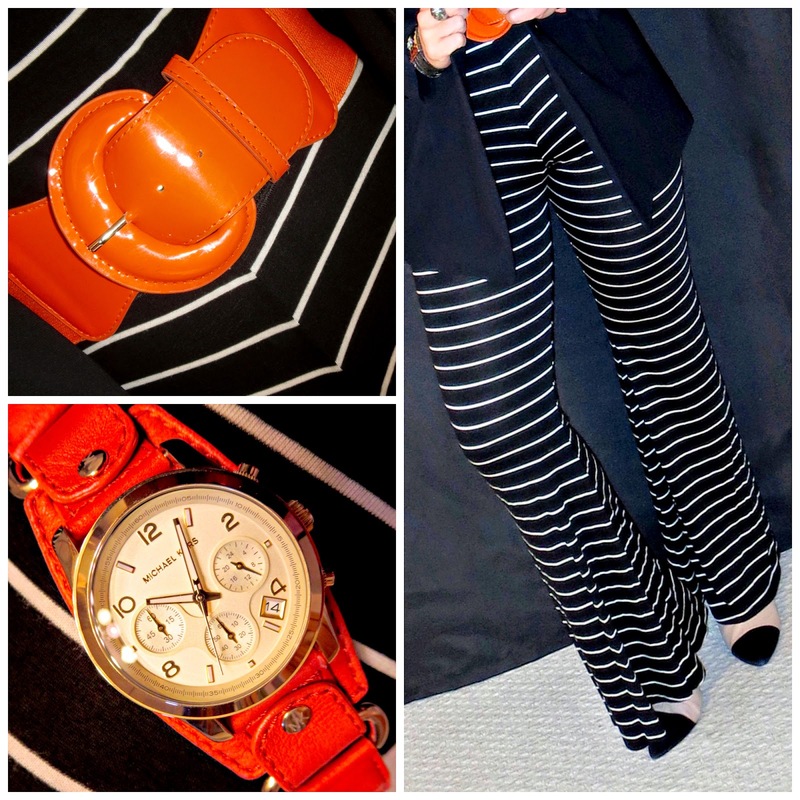 I couldn't resist once again adding a little pumpkin spice to the mix with a belt and watch in my favorite hue. A pop of orange evokes the seasonal "spirits," but is hopefully subtle enough to avoid "boos" for looking like a preschooler (as I've said before, jack-o-lantern embroidered cardigans are precious on a 4 year old, but ugly-sweater party territory for a 40 year old).